NEW MESHUGGAH EP THIS WEEK? The car manufacturer Scion is a known, big time supporter of metal. They have a history of working with / promoting awesome bands and releasing brand new, FREE EPs. They’ve recently done this with Arsis, Revocation, and Immolation among others. 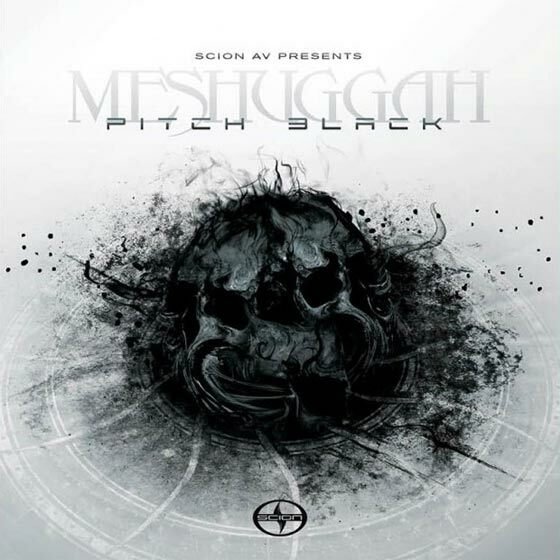 And it looks like Meshuggah may be next with “Pitch Black”… possibly as soon as this Tuesday! The concept of a brand new Meshuggah EP out of the blue sounds amazing. It’s been too long since the band’s last EP “I”. Nothing has been confirmed, but all the evidence points to new music or at the very least, a live recording. It is the Scion way. They posted the following along with the “Pitch Black” artwork. In other words, get stoked for Tuesday! You can ogle the artwork along with the hard hitting music video for “Demiurge”, which was also produced by Scion.